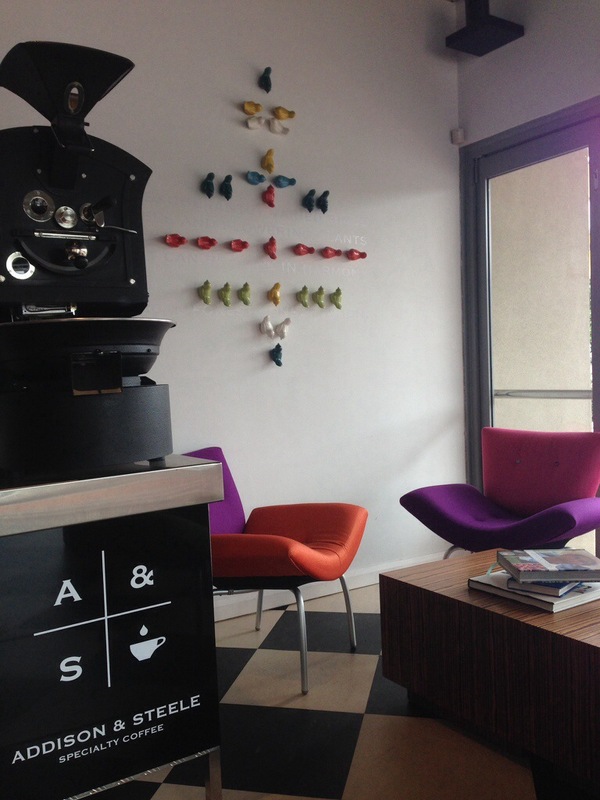 As people who really, reaaaalllyyyy love our coffee, excited is probably not the right word to describe our reaction to the opening of Addison and Steele in North Perth. You’ll find it on Fitzgerald st, near the Rosemount and pot black. 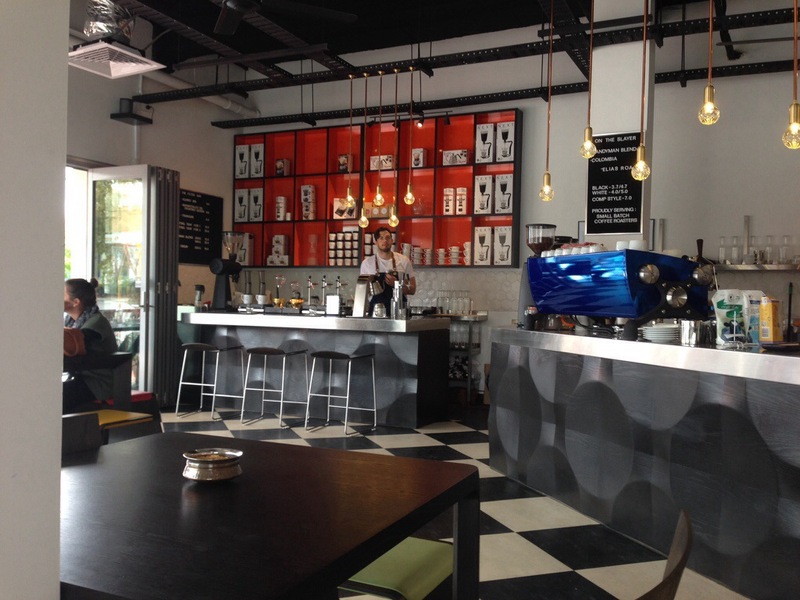 Its conception is just another sign of the growth of the Perth coffee scene, and the spread into traditionally less fashionable parts of the city. The space they’ve put together is rather wonderful. It’s sleek and styled in black and white, but the focus is always on the coffee. Whether it’s the espresso machine or the myriad of alternative brew techniques, you can’t escape it wherever you look. It should come as no surprise that given the abundance of coffee and brew methods available we chose a tasting plate to share. The fact that they offer the tasting plates of coffee is a big plus for A&S, it really showcases everything they have on offer. Unfortunately as it’s coming into winter they didn’t offer a cold brew, but were happy to substitute it for a milked coffee. The great thing about offering a tasting plate is it allows you to try the different brew techniques and how they impact the flavour of the same beans. For people unused to black coffee, they may discover that they actually love filter coffee, because it allows them to really experience those flavours in the bean that you wouldn’t necessarily find in a long black. 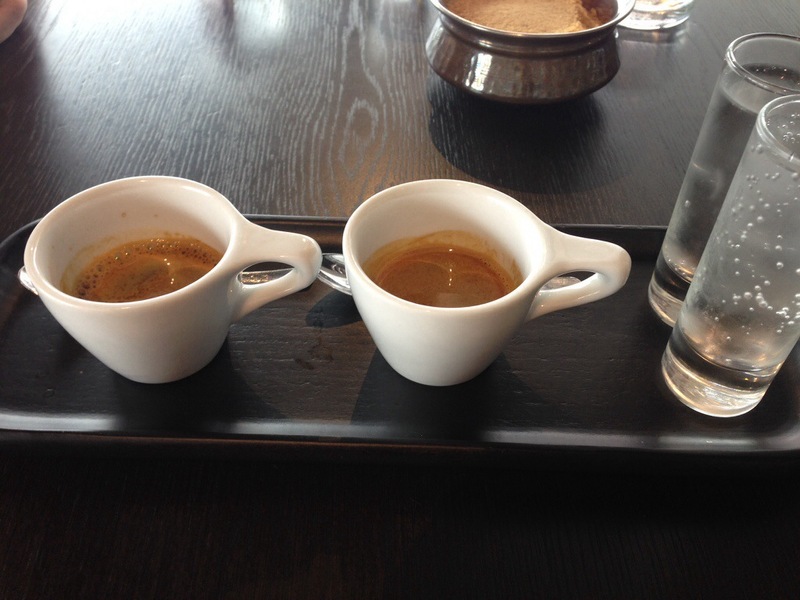 For us the tasting plate was fabulous, the coffees we tried were wonderful and we took the time to sit and savour them. 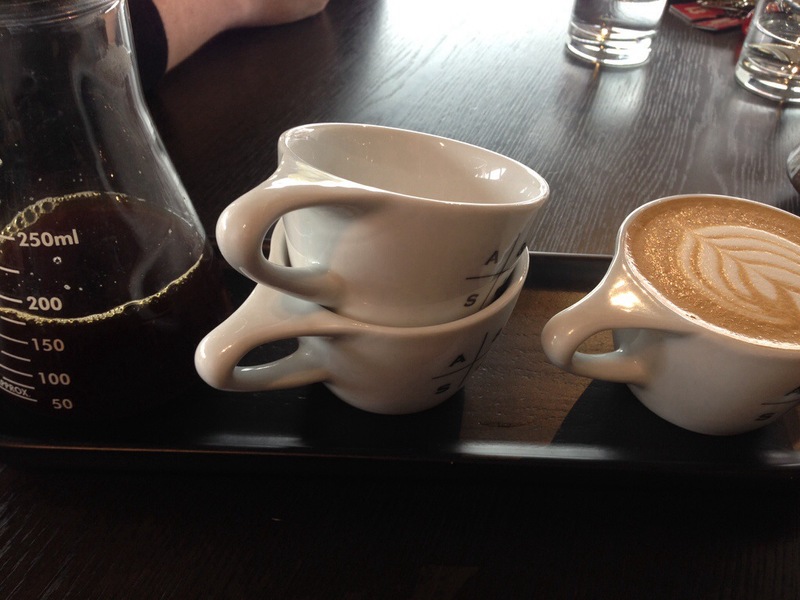 My favourite was the filter, and I enjoyed their coffee enough that despite having three on the tasting plate I another latte on the way out. What do you mean there’s such a thing as too much caffeine…? Even better then specialty coffee, is specialty coffee AND bagels. Have I mentioned my love of bagels? I’m sure it’s come up at some stage, but if it hasn’t, here’s a fun fact, I love bagels. I suspect that if I could, I would have them every day. Always with cream cheese, the more the better. I want to go to New York for so many things but bagels are right up near the top of my list. Luckily for us the A&S menu consists almost entirely of bagel based options from the Holy Bagel Co, and we decided to sample both a savoury option, and a sweet. 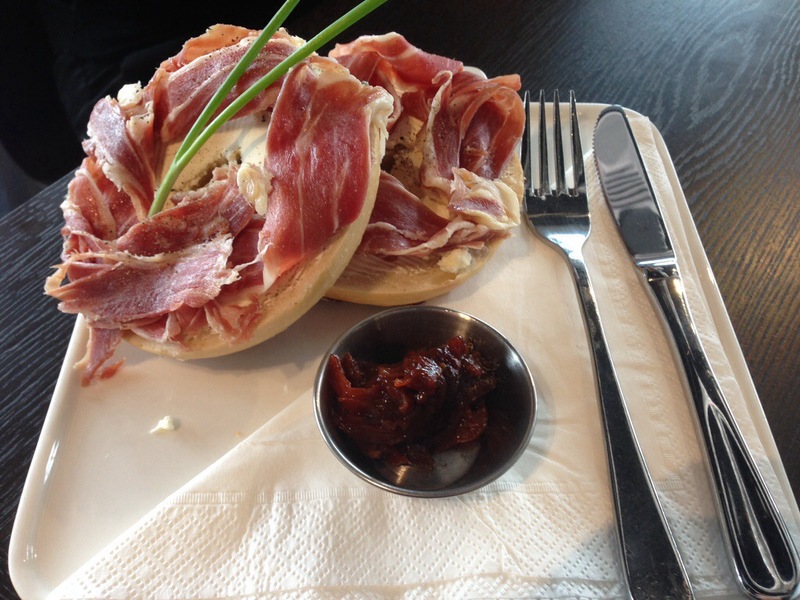 The savoury was a filled bagel, with Jamon Serrano ham and a herbed cream cheese. This tasted absolutely amazing, it’s a mix of simple flavours that just work together. Our only complaint is that as nice as the ham is it’s impossible to cut and you can’t just bite into. Practical difficulties aside, it’s a great idea. 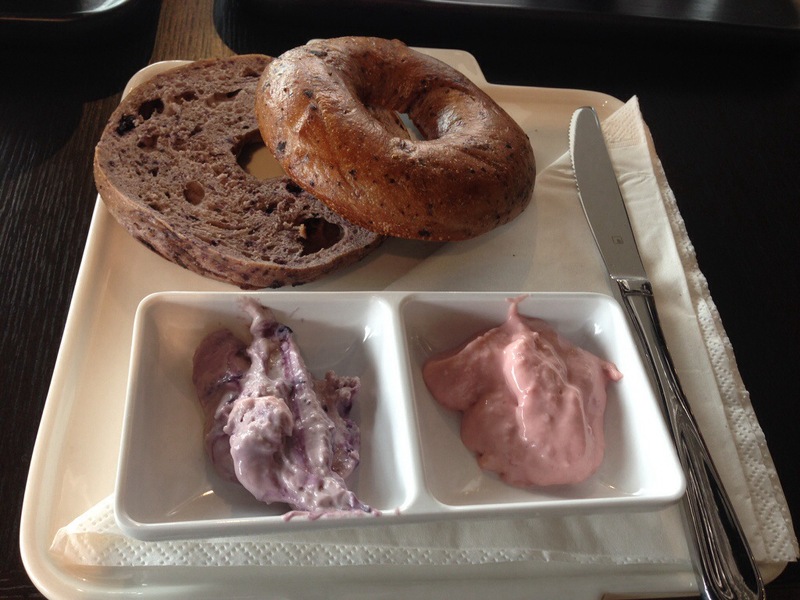 We also tried a blueberry bagel, which came with a raspberry cream cheese and a blueberry cream cheese. The cream cheese options are really what sets A&S apart from other cafes. If you’re going to specialize in coffee and bagels, you have to do them both well and that’s certainly how this bagel was. Beautifully toasted with melty cream cheese in complimenting flavours. YUM! We so enjoyed our visit that we left with two more bagels and more coffee. It’s the care that goes into everything here that makes your visit so worthwhile, even our takeaway bagels were provided with our choice of cream cheese in little takeaway cups. 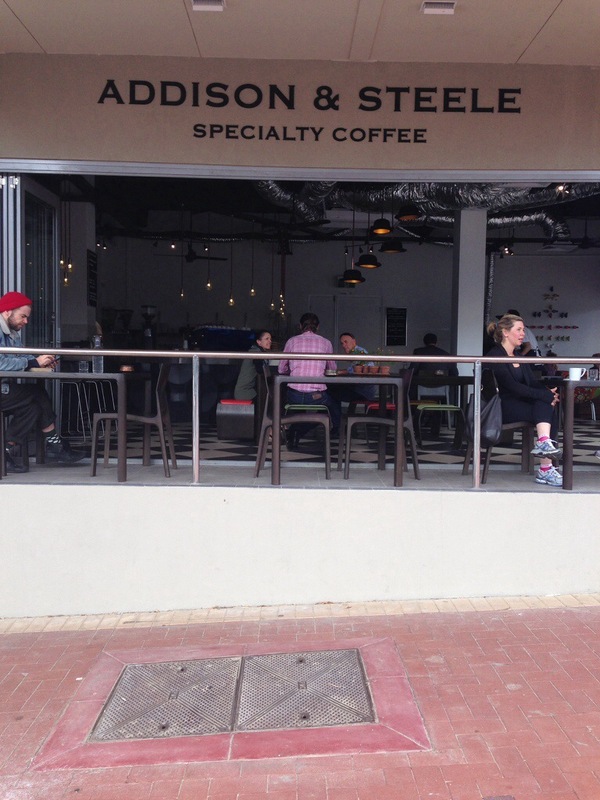 Addison and Steele is a very welcome addition to the Perth coffee scene and somewhere every coffee (or bagel) lover should visit!